The scope of activities of Mathematics and Physics Group spans all aspects of research and education in the fields of mathematical sciences. Our current researches in the field of mathematics are devoted to various subjects and problems arising in both pure and applied mathematics: non-associative algebras, neural networks, unimodality problems, algebraic combinatorics, spherical functions, homotopy theory, and arithmetic theory. studies the physics of the many-body system of including atomic nuclei, microclusters and quantum information theory. studies the numerical superstring and quantum gravity. researches the microscopic structures and dynamics of the nuclei by the algebraic methods and geometrical models performing the quantitative analysis by the large-scale numeric calculations. advances the traditional quantum theory and creates the geometrical theory of quantum gravity. studies the physics of atomic nuclei under the extreme condition based on the density functional theory. studies the theory of non-associative algebras and a structure theory of algebras from triple systems. generalizes the unimodality problems of 1-dimensional infinitely divisible distributions to multi-dimensional cases in the use of analytical methods. researches combinatorial identities for generalized Young tableaux, and also, several generating functions arising from algebraic combinatorics. studies arithmetic of elliptic curves and modular forms and their applications. studies geometrical interpretations of generating functions for spherical functions on homogeneous spaces. studies homotopy theory and its applications to various areas of mathematics. N. Kamiya. On Lie algebras and triple systems. Koninklijke VLaamse Academie Van Belgie (Belgie Acad. Math.2010), page 10, Aug. 2010. Kamiya and Shibukawa. Dynamical Yang-Baxter maps associated with homogeneous systems. JGLTA, pages 1-12, Jan 2011. Kamiya, Mondoc, and Okubo. On Lie and Jordan structures associated with (α, β)Freudenthal-Kantor triple systems. Mitt.Math.Ges.Hamburg, 29:1-15, Oct. 2010. In this paper, we discuss the construction of δ Lie triple systems and associated Jordan triple systems structure,in particular,we study Lie super algebras. Hiroshi Kihara and Nobuyuki Oda. Homotopical presentations and calculations of algebraic K0-groups for rings of continuous functions. Publications of the Research Institute for Mathematical Sciences, page in press, 2011,. B. Cheal, E. Mané, J. Billowes, M. L. Bissell, K. Blaum, B. A. Brown, F. C. Charlwood, K. T. Flanagan amd D. H. Forest, C. Geppert, M. Honma, A. Jokinen, M. Kowalska, A. Krieger, J. Krämer, I. D. Moore, R. Neugart, G. Neyens, W. Nërtershäuser, M. Schug, H. H. Stroke, P. Vingerhoets, D. T. Yordanov, and M. Z'aková. Nuclear Spins and Moments of Ga Isotopes Reveal Sudden Structural Changes between N=40 and N=50. Phys. Rev. Lett., 104:252502/1-5, 2010. Collinear laser spectroscopy was performed on Ga (Z=31) isotopes at ISOLDE, CERN. A gas-filled linear Paul trap (ISCOOL) was used to extend measurements towards very neutron-rich isotopes (N=36-50). A ground state (g.s.) spin I=1/2 is measured for 73Ga, being near degenerate with a 3/2measured for 73Ga, being near degenerate with a 3/2− isomer (75eV < Eex < 1keV). The 79Ga g.s., with I=3/2, is dominated by protons in the pif5/2 orbital and in 81Ga the 5/2the 5/2− level becomes the g.s. The data are compared to shell-model calculations level becomes the g.s. The data are compared to shell-model calculations in the f5/2pg9/2 model space, calling for further theoretical developments and new experiments. Noritaka Shimizu, Yutaka Utsuno, Takahiro Mizusaki, Takaharu Otsuka, Takashi Abe, and Michio Honma. Novel extrapolation method in the Monte Carlo shell model. Phys. Rev. C, 82:061305(R)/1-4, 2010. We propose an extrapolation method utilizing energy variance in the Monte Carlo shell model to estimate the energy eigenvalue and observables accurately. We derive a formula for the energy variance with deformed Slater determinants, which enables us to calculate the energy variance efficiently. The feasibility of the method is demonstrated for the full pf-shell calculation of 56Ni, and the applicability of the method to a system beyond the current limit of exact diagonalization is shown for the pf + g9/2-shell calculation of 64Ge. K. Moschner, K.-H. Speidel, J. Leske, C. Bauer, C. Bernards, L. Bettermann, M. Honma, T. Mëller, P. Maier-Komor, and D. Mücher. New measurement of the 68Zn(41+) g factor combined with a reanalysis of previous data. Phys. Rev. C, 82:014301/1-7, 2010. We have remeasured and have redetermined the g factor for the 41+ state in 68Zn following inconsistencies between earlier measurements and a recent result. We have reanalyzed several former measurements by applying an alternative analysis procedure, which allows for determining the precession effect separately for each gamma detector implying less uncertainties in the background subtraction for the relevant spectra. In addition, all measured g-factor and B(E2) data for the first 2+ and 4+ states in all stable even-A Zn isotopes and the radioactive 62Zn, are compared with new large-scale shell model calculations based on the most advanced effective interaction in the fpg-shell model space. K. T. Flanagan, P. Vingerhoets, M. L. Bissell, K. Blaum, B. A. Brown, B. Cheal, M. De Rydt, D. H. Forest, Ch. Geppert, M. Honma, M. Kowalska, J. Krämer, A. Krieger a nd E. Mané, R. Neugart, G. Neyens, W. Nërtershäuser, M. Schug, H. H. Stroke, and D. T. Yordanov. Experimental determination of an Iss = 2determination of an I<μ = 2− ground state in 72,74Cu. Phys. Rev. C, ground state in 72;74Cu. Phys. Rev. C, 82:041302(R)/1-5, 2010. This article reports on the ground-state spin and moments measured in 72,74Cu using collinear laser spectroscopy at the CERN On-Line Isotope Mass Separator (ISOLDE) facility. From the measured hyperfine coefficients, the nuclear observables μ(72Cu)=−1.3472(10)μN, μ(74Cu)=−1.068(3)μN, Q(72Cu)=+8(2)efm2, Q(74Cu)=+26(3)efm2, I(72Cu)=2, and I(74Cu)=2 have been determined. Through a comparison of the measured magnetic moments with different models, the negative moment reveals a strong μf5/2 ⊕ νg9/2 component in the ground-state wave function. Consequently, a negative parity has been assigned to the ground states of 72,74Cu. Large-scale shell-model calculations illustrate the strong sensitivity of the nuclear moments to configuration mixing and to the effective interaction employed. Takahiro Mizusaki, Kazunari Kaneko, Michio Honma, and Tetsuya Sakurai. Filter diagonalization of shell-model calculations. Phys. Rev. C, 82:024310/1-10, 2010. We present a method of filter diagonalization for shell-model calculations. This method is based on the Sakurai and Sugiura (SS) method, but extended with the help of the shifted complex orthogonal conjugate gradient (COCG) method. A salient feature of this method is that it can calculate eigenvalues and eigenstates in a given energy interval. We show that this method can be an alternative to the Lanczos method for calculating ground and excited states, as well as spectral strength functions. With an application to the M-scheme shell-model calculations we demonstrate that several inherent problems in the widely used Lanczos method can be removed or reduced. F.C. Charlwood, J. Billowes, P. Campbell, B. Cheal, T. Eronen, D.H. Forest, S. Fritzsche, M. Honma, A. Jokinen, I.D. Moore, H. Penttilä, R. Powis, A. Saastamoinen, G. Tungate, and J. Äystë. Ground state properties of manganese isotopes across the N=28 shell closure. Phy. Lett. B, 690:346-351, 2010. The first optical study of the N=28 shell closure in manganese is reported. Meansquare charge radii and quadrupole moments, obtained for ground and isomeric states in 50states in 50−56Mn, are extracted using new calculations of atomic factors. The 56Mn, are extracted using new calculations of atomic factors. The charge radii show a well defined shell closure at the magic number. The behaviour of the charge radii is strikingly different to that of the neutron separation energies where no shell effect can be observed. The nuclear parameters can be successfully described by large scale shell model calculations using the GXPF1A interaction. A. Gade, T. Baugher, D. Bazin, B. A. Brown, C. M. Campbell, T. Glasmacher, G. F. Grinyer, M. Honma, S. McDaniel, R. Meharchand, T. Otsuka a nd A. Ratkiewicz, J. A. Tostevin, K. A. Walsh, and D. Weisshaar. Collectivity at N=50: 82Ge and 84Se. Phys. Rev. C, 81:064326/1-7, 2010. The neutron-rich N=50 isotones 82Ge and 84Se were investigated using intermediate-energy Coulomb excitation on a 197Au target and inelastic scattering on 9Be. As typical for intermediate-energy Coulomb excitation with projectile energies exceeding 70 MeV/nucleon, only the first 2+ states were excited in 82Ge and 84Se. However, in the inelastic scattering on a 9Be target, a strong population of the first 4+ state was observed for 84Se, while there is no indication of a similarly strong excitation of the corresponding state in the neighboring even-even isotone 82Ge. The results are discussed in the framework of systematics and shell-model calculations using three different effective interactions. K. Hagino, H. Sagawa, and P. Schuck. Cooper Pair Sizes in 11Li and in superfluid nuclei: a puzzlein superfluid nuclei: a puzzle? J. Phys. G, 37:064040/pp. 1−7, 2010. J. Phys. G, 37:064040/pp. 1-7, 2010. It has been recognised that two neutrons take a spatially compact configuration around the nuclear surface in finite nuclei. This is referred to as dineutron correlation, and the pairing has been considered to play an important role. Here we discuss open questions concerning pairing properties in light exotic nuclei as w ell as in medium-heavy neutron-rich nuclei, from a viewpoint of dineutron correlation. Li-Gang Cao, H. Sagawa, and G. Colë. Effects of the Tensor Correlations on Low-lying Collective States in Finite Nuclei. Phys. Rev. C, 83:034324/pp. 1-6, 2011. We present a systematic analysis of the effects induced by tensor correlations on low-lying collective states of magic nuclei, by using the fully self-consistent Random Phase Approximation (RPA) model with Skyrme interactions. The role of the tensor correlations is analyzed in detail in the case of quadrupole (2+) and octupole (3−) low-lying collective states in 208Pb. The example of magnetic dipole states ) low-lying collective states in 208Pb. The example of magnetic dipole states (1+) is also discussed. Li-Gang Cao, G. Colë, and H. Sagawa. Spin and Spin-Isospin instabilities and Landau parameters of Skyrme interactions with tensor terms. Phys. Rev. C, 81:044302/pp.1-7, 2010. The Landau parameters of Skyrme interactions in the spin and spin-isospin channels are studied by using various Skyrme effective interactions with and without tensor correlations. The role of the tensor terms is examined on the stability conditions of the spin and spin-isospin modes in nuclear matter above saturation densities. We point out that the spin and/or the spin-isospin instabilities are realized in the nuclear matter at the critical density of about 2 times more than the saturation density for all the adopted parameter sets. The critical density is shown very much depending not only on the choice of the Skyrme parameter set, but also on the inclusion of the tensor terms. Y. Urata, K. Hagino, and H. Sagawa. Ground state properties and Coulomb dissociation of the deformed halo nucleus 31Ne. Phys. Rev. C, 83:04303(R)/pp. 1-5, 2011. P. F. Bortignon, G. Colë, and H. Sagawa. Nuclear single-particle states: dynamical shell model and energy density functional methods. J. Phys. G, 37:064013/pp. 1-6, 2010. We will discuss different approaches to the problem of reproducing the observed features of nuclear single-particle (s.p.) spectra. In particular, we will analyze the dominant energy peaks, and the single-particle strength fragmentation, using the example of neutron states in 208Pb. Our main emphasis is the interpretation of that fragmentation as due to particle-vibration coupling (PVC). We will compare with recent Energy Density Functional (EDF) approaches, and try to present a critical perspective. C.L. Bai, H.Q. Zhang, X.Z. Zhang, F.R.Xu, H. Sagawa, and G. Colë. Effect of the Tensor Force on Charge-Exchange Spin-Dependent Excitations of 208Pb. Phys. Rev. Lett, 105:072501/pp.1-4, 2010. The charge-exchange spin-dipole (SD) excitations of 208Pb are studied by using a fully self-consistent Skyrme Hartree-Fock plus Random Phase Approximation (HF+RPA) formalism which includes the tensor interaction. It is found, for the first time, that the tensor correlations have a unique, multipole-dependent effect on the SD excitations, that is, they produce softening of 1on the SD excitations, that is, they produce softening of 1− states, but hardening states, but hardening of 0− and 2− states. This paves the way to a clear assessment of the strength of the tensor terms. We compare our results with a recent measurement, showing that our choice of tensor terms improves the agreement with experiment. The robustness of our results is supported by the analytic form of the tensor matrix elements. E. Khan, J. Margueron, G. Colë, K. Hagino, and H. Sagawa. Effect of pairing correlations on incompressibility and symmetry energy in nuclear matter and finite nuclei. Phys. Rev. C, 82:024322/pp. 1-8, 2010. The role of superfluidity in the incompressibility and in the symmetry energy is studied in nuclear matter and finite nuclei. Several pairing interactions are used: surface, mixed and isovector dependent. Pairing has a small effect on the nuclear matter incompressibility at saturation density, but the effects are significant at lower densities. The pairing effect on the centroid energy of the isoscalar Giant Monopole Resonance (GMR) is also evaluated for Pb and Sn isotopes by using a microscopic constrained-HFB approach, and found to change at most by 10 % the nucleus incompressibility KA. It is shown by using the Local Density Approximation (LDA) that most of the pairing effect on the GMR centroid come from the low-density nuclear surface. G. Colë, P. F. Bortignon, and H. Sagawa. Effect of particle-vibration coupling on the single-particle states: a consitent study within the Skyrme framework. Phys. Rev. C, 82:064307/pp. 1-8, 2010. We discuss calculations of the single-particle states in magic nuclei, performed within the particle-vibration coupling (PVC) approach by using consistently the Skyrme effective interaction. The vibrations are calculated within fully selfconsistent RPA and the whole interaction is also used in the PVC vertex. Our main emphasis is therefore the discussion of our results in comparison with those in which some approximation is made. The perspectives for improving current Density Functional Theory (DFT) calculations are also addressed. K. Hagino T. Oishi and H. Sagawa. Di-proton correlation in a protonrich Borromean nucleus 17Ne. Phys. Rev. C, 82:024315, pp. 1-5, 2010. P. Mëller, A. J. Sierk, R. Bengtsson, H. Sagawa, and T. Ichikawa. Nuclear Shape Isomers. Atomic Data and Nuclear Data Tables, in press:in press, 2010. Nuclear Shape Isomers are systematically discussed by using Finite range liquid drop model (FRLDM). K. Hagino, A. Vitturi, F. Pérez-Bernal, and H. Sagawa. Two-neutron halo nuclei in one dimension: dineutron correlation and breakup reaction. J. of Phys G, 38:015105/pp. 1-15,, 2011. We propose a simple schematic model for two-neutron halo nuclei. In this model, the two valence neutrons move in a one-dimensional mean field, interacting with each other via a density-dependent contact interaction. We first investigate the ground state properties, and demonstrate that the dineutron correlation can be realized with this simple model due to the admixture of even- and odd-parity single-particle states. We then solve the time-dependent two-particle Schrëdinger equation under the influence of a time-dependent one-body external field, in order to discuss the effect of dineutron correlation on nuclear breakup processes. The time evolution of two-particle density shows that the dineutron correlation enhances the total breakup probability, especially for the two-neutron breakup process, in which both the valence neutrons are promoted to continuum scattering states. We find that the interaction between the two particles definitely favours a spatial correlation of the two outgoing particles, which are mainly em itted in the same direction. T. Watanabe and K. Yamamuro. Local subexponentiality and selfdecomposability. J. Theoretical Probability, 23(4):1039-1067, 2010,. The class of the exponential tilts of convolution equivalent distributions is determined. As a corollary, the local subexponentiality of one-sided infinitely divisible distributions is characterized. It is applied to the subexponentiality of the densities of a selfdecomposable distribution and its Lévy measure. Bondesson's conjecture on the density of the Lévy measure of a lognormal distribution is solved as an example. Results of Denisov et al. on the distributions of random sums are extended to the two-sided case. Finally, the local subexponentiality of the distribution of the supremum of a random walk is characterized. T. Watanabe and K. Yamamuro. Limsup behaviors of multidimensional selfsimilar processes with independent increments. ALEA Lat. Am. J. Probab. Math. Stat, 7:79-116, 2010,. Laws of the iterated logarithm of limsup type are studied for multidimensional selfsimilar processes X(t) with independent increments having exponent H. A necessary and sufficient condition for the normalization is obtained. In the case where the normalization does not exist, a criterion to classify the limit 0 or infinity is given. Moreover, various limsup type laws with identification of the positive limit are explicitly presented in several propositions and examples. H. Nakada and M. Yamagami. Coulombic effect and renormalization in nuclear pairing. Phys. Rev. C, 83:031302(R) [4pages], 2011. We investigate effects of the Coulomb force on the nuclear pairing properties by performing the Gogny Hartree-Fock-Bogolyubov calculations for the N = 20, 28, 50, 82 and 126 nuclei. The Coulomb force reduces the proton pair energy and the even-odd mass difference by about 25%, except for nuclei at and around the proton shell or subshell closure. We then propose a renormalization scheme via a reduction factor γp for the proton pairing channel. It is found that a single value of γp(= 0:90) well takes account of the Coulombic effect, for nuclei covering wide range of the mass number and the neutron excess including the nuclei around the shell or subshell closure. M.Yamagami, Y.R.Shimizu, and T.Nakatsukasa. Global fitting of pairing density functional. RIKEN Accel. Prog. Rep., 43:58, 2010. We have developed a density functional for the global description of pairing correlations by focusing on the neutron-excess dependence. The accurate pairing density functional (pair-DF) is indispensable for predicting pairing-sensitive properties (for example, low-energy dynamics) in reaction networks of r-process nucleosynthesis and nuclear reactors, predicting the superfluidity in neutron-star matter. We demonstrated that the pair-DF should include the isovector density (ae1 = aen demonstrated that the pair-DF should include the isovector density (ρ1 = ρn − ρp), since the standard pair-DF with only isoscalar density (ρ1 = ρn + ρp) terms fails to reproduce the α-dependence (α = (N − Z)/A) of the pairing correlations. M. Yamagami, Y. R. Shimizu, and T. Nakatsukasa. Pairing correlations and effective masses in nuclei with large neutron excess. Mod. Phys. Lett. A, pages 1923-1926, 2010. We propose a local energy density functional for global description of pairing correlations by focusing on the neutron excess dependence. gaps and effective mass parameters as a function of neutron excess. This effect can be taken into account to the density functional by the isovector density dependence in the particle-particle channel. P. Vingerhoets, K. T. Flanagan, M. Avgoulea, J. Billowes, M. L. Bissell, K. Blaum, B. A. Brown, B. Cheal, M. De Rydt, D. H. Forest, Ch. Geppert, M. Honma, M. Kowalska, J. Krämer, A. Krieger, E. Mané, R. Neugart, G. Neyens, W. Nërtershäuser, T. Otsuka, M. Schug, H. H. Stroke, G. Tungate, and D. T. Yordanov. Nuclear spins, magnetic moments, and quadrupole moments of Cu isotopes from N=28 to N=46: Probes for core polarization effects. volume 82, pages 064311/1-12, 2010. Measurements of the ground-state nuclear spins and magnetic and quadrupole moments of the copper isotopes from 61Cu up to 75Cu are reported. The experiments were performed at the CERN online isotope mass separator (ISOLDE) facility, using the technique of collinear laser spectroscopy. The trend in the magnetic moments between the N=28 and N=50 shell closures is reasonably reproduced by large-scale shell-model calculations starting from a 56Ni core. The quadrupole moments reveal a strong polarization of the underlying Ni core when the neutron shell is opened, which is, however, strongly reduced at N=40 due to the parity change between the pf and g orbits. No enhanced core polarization is seen beyond N=40. Deviations between measured and calculated moments are attributed to the softness of the 56Ni core and weakening of the Z=28 and N=28 shell gaps. Xian-Rong Zhou and H. Sagawa. Effect of tensor interaction on heavy and superheavy nuclei. In Proc. of Int. Conference Niigata2010, pages pp.1809-1814, 2010. The effect of tensor interaction is discussed on the deformation and the shell structure of heavy and superheavy nuclei within the deformed Skyrme Hartree-Fock+BCS model. The importance of the tensor correlations is shown for the single particle spectra of protons in 249Bk. The large shell gaps of superheavy nuclei are found at Z=114 and Z=120 for protons and N=184 for neutrons with the spherical shape irrespective of the tensor correlations. It is also shown that Z=114 and N=164 shell gaps are more pronounced by the tensor correlations in the case of SLy5+T interaction. K. Hagino, H. Sagawa, and T. Oishi. Dineutron correlation in the ground state and E1 excitations of Borromean nuclei. In Proc. of Int. Conference Niigata2010, pages pp.1842-1845, 2010. Using a three-body model with density-dependent contact interaction, we discuss the role of dineutron correlation in the ground state properties as well as in the dipole excitation of typical weakly-bound Borromean nuclei, 11Li and 6He. We show that, while both the nuclei manifest themselves similar strong dineutron correlations to each other in the ground state, the energy distributions for the two emitted neutrons from the dipole excitation are considerably different. We also discuss briefly the diproton correlation in a proton-rich Borromean nucleus, 17Ne. Takao Maeda, Shinya Matsufuji, and Takafumi Hayashi. A Novel Class of Zero-Correlation Zone Array Sets. In Proceedings of Annual Conference of JSIAM 2010, pages 21-40. The Japan Society for Industrial and Applied Mathematics, September 2010. Takafumi Hayashi, Takao Maeda, and Satoshi Okawa. A Novel ZeroCorrelation Zone Sequence Set with Sequence subsets. In Abstracts of ISCITS 2010,International Symposium on Communications and Information Technologies, page 29. IEEE, IEEE, November 2010. The present paper intloduces a new approach to the construction of a sequence set with a zero-correlation zone. The proposed sequences can be constructed from a pair of Hadamard matriccs of the orders n0 and n1. The constructed sequence set consists of n0n1 ternary sequences, each of length n0m+1(n1 + 2) for a non negative integer m: The sequence member size of the proposed sequence set is equal to n1(n1 + 2) times that of the theoretical upper bound of the member size of a sequence set with a zero-correlation zone. The proposed sequence set consists of n0 subsets, with each of member size being n1: The correlation function of the sequences of a pair of different subsets, so called inter-subset correlation function, has a zero-correaltion zone that is almost twice the width of the correlation function of the sequences of the same subset (intra-subset correlation function). This wider inter-subset zero-correlation contributes to the performance improvement of applications of the proposed sequence set. The proposed sequence sets have a zero-correlation zone for both periodic and aperiodic corlelation functions. Takao Maeda, Shigeru Kanemoto, and Takafumi Hayashi. A Novel Class of Binary Zero-Correlation Zone Sequence Sets. In Proceedeings of TENCON 2010,IEEE Region 10 Conference, pages 708-711. IEEE, IEEE, November 2010. The present paper introduces the construction of binary sequences having a zerocorrelation zone. The crosscorrelation function and the side-lobe of the autocorrelation function of the proposed sequence set is zero for the phase shifts within the zero-correlation zone. The proposed zero-correlation zone sequence set can be generated from an arbitrary Hadamard matrix of order n. The proposed zero-correlation zone sequence set consists of two sub groups. The inter-group cross-correlation function has much wider than the inner-group cross-correlation function. When the proposed sequence set is applied to the synthetic aperture ultrasonic imaging, this wide inter-group zerocorrelation zone enables better image than usual method. The proposed sequence set is suitable for real-time synthetic aperture ultrasonic imaging. Takao Maeda and Takafumi Hayashi. Parameterization of Perfect Sequences. In Proceedeings of TENCON 2010, IEEE Region 10 Conference, pages 1307-1312. IEEE, IEEE, November 2010. A ZCZ (Zero Correlation Zone) sequence set plays an important role in the research of CDMA, ultrasonic imaging, position control and so on. It's a set of perfect sequences which has a property about cross-correlation. We treat the set of perfect sequences as a zero set of quadratic equations and try to simplify these equations. We prove `Decomposition Theorem' of perfect sequences and the theorem convert the problem of the structures of perfect sequences into the problem of the structures of quasiperfect sequences which we named. Parameterizing of perfect sequences of easy case and quasi-perfect sequences lead us to the parameterization of perfect sequences of arbitrary length. Kazuto Asai. The group generated by gamma functions [k-asai-01:2010] Kazuto Asai. The group generated by gamma functions Γ(ax + 1), and its sungroup of the elements converging to constants. preprint, 2010. M. Honma, T. Otsuka, T. Mizusaki, and M. Hjorth-Jensen. Recent Progress in Shell-Model Calculations for pfg-shell Nuclei. In A. Ozawa and Editor W. Lu, editors, AIP Conference Proceedings Volume 1235 (NUCLEAR PHYSICS TRENDS: 7th Japan-China Joint Nuclear Physics Symposium, Tsukuba (Japan), 9-13 November 2009), pages 384-390, 2010. Takao Maeda, Shigeru Kanemoto, and Takafumi Hayashi. Application of Zero Correlation Sequence Set to Ultrasonic Imaging. In IEICE Technical Report US2010(2010-06), pages 37-40. IEICE, June 2010. H. Sagawa and N. Yoshida. Fundamentals of Quantum Informations. World Scientific, 2011. H. Sagawa and K. Shimizu. Quantum Mechanics (Second Edition). SpringerJapan, 2011. H. Sagawa and M. Honma. Electromagnetism (Second Edition). Springer Japan, 2010. H. Sagawa and M. Honma. Mechanics (Second Edition). Springer Japan, 2010. H. Sagawa. Ministry of Education Scientific Research Fund C2, 20082011. Takahiro Nemoto. Graduation Thesis: Ising model on random surface, University of Aizu, 2010. Fumiya Kouno. Graduation Thesis: Programming for physics learning, University of Aizu, 2010. 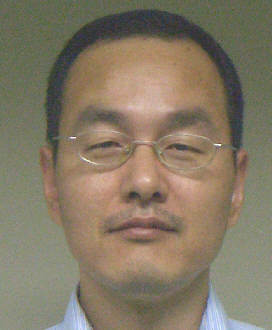 Tomohiro Nishimura. Graduation Thesis: A Computer Simulation of Kepler Motion in the Solar Wind, School of Computer Science and Engineering, March 2011. Yuji Ohara. Graduation Thesis: The theory of relativity and GPS, School of Computer Science and Engineering, March 2011. Takefumi Ogata. Graduation Thesis: The effect of general relativistic theory on GPS, School of Computer Science and Engineering, March 2011. Rune Okabe. Graduation Thesis: Time dilation in Global positioning system cansed by General relativity, School of Computer Science and Engineering, March 2011. Tomohide Osikiri. Graduation Thesis:Big bang and age of the universe, School of Computer Science and Engineering, March 2011. Tomohide Yukawa. Graduation Thesis: Quasar and Accretion disk, School of Computer Science and Engineering, March 2011. Takuya Kojima. Graduation thesis, School of Computer Science and Engineering, March 2011. Erika Suzuki. Graduation thesis, School of Computer Science and Engineering, March 2011. Wataru Kumamoto. Graduation thesis, The University of Aizu, 2011. Genki Sato. Graduation thesis, School of Computer Science and Engineering, M 2011. Kazuya Ikeda. Graduation thesis, School of Computer Science and Engineering, March 2011. Kensuke Iseki. Graduation thesis, School of Computer Science and Engineering, March 2011. Akira Murakoshi. Master thesis, Graduate School of Computer Science and Engineering, March 2011. Hiroshi Kihara. Introduction to Homotopical Algebra I, II, and III, March 2011,.